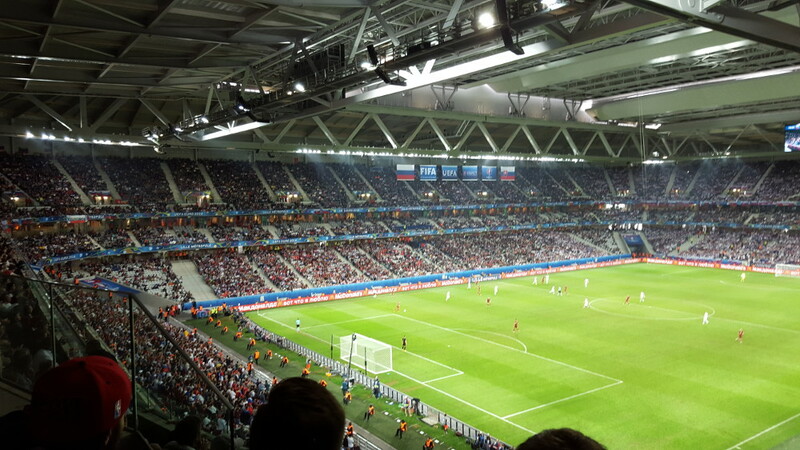 Stade Pierre Mauroy, earlier referred to as Grand Stade Lille Métropole, was built to provide Lille OSC with a new and modern home. Lille’s original home was Stade Grimonprez-Jooris, where they played until 2004 when they moved away to Stade Lille-Métropole in the hope of redeveloping Stade Grimonprez-Jooris. Plans led to nothing though, and the club instead focused on building a new stadium at a site close to Stade Lille-Métropole. Plans for the new Grand Stade Lille Métropole were approved in 2008 and construction began in 2010. Construction came at a cost of approximately €300 million. 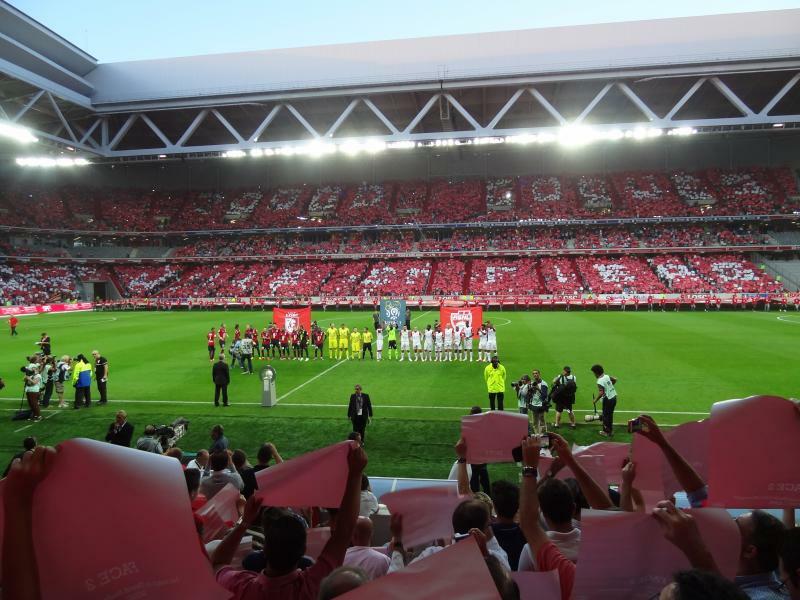 The stadium officially opened on 17 August 2012 with a league match between Lille and Nancy (1-1). 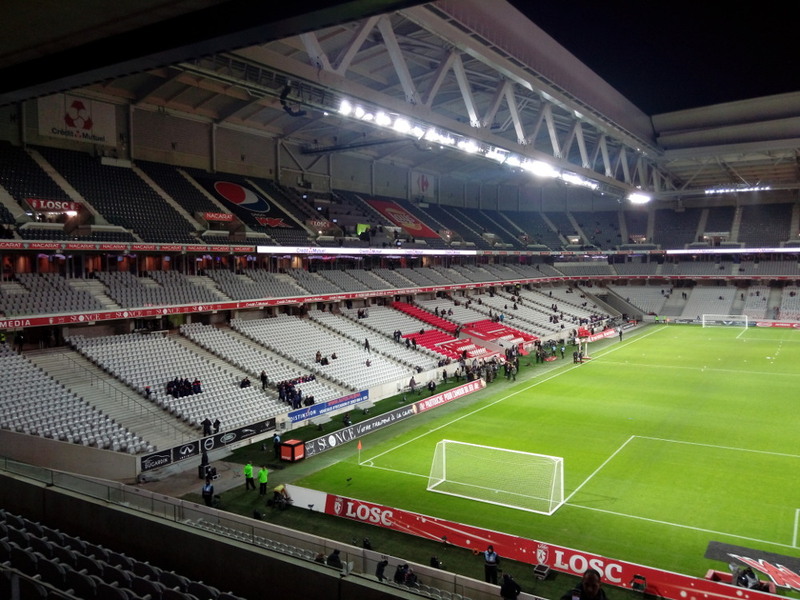 In the summer of 2013, the stadium was renamed Stade Pierre Mauroy following the death of the former mayor of Lille and prime minister of France. 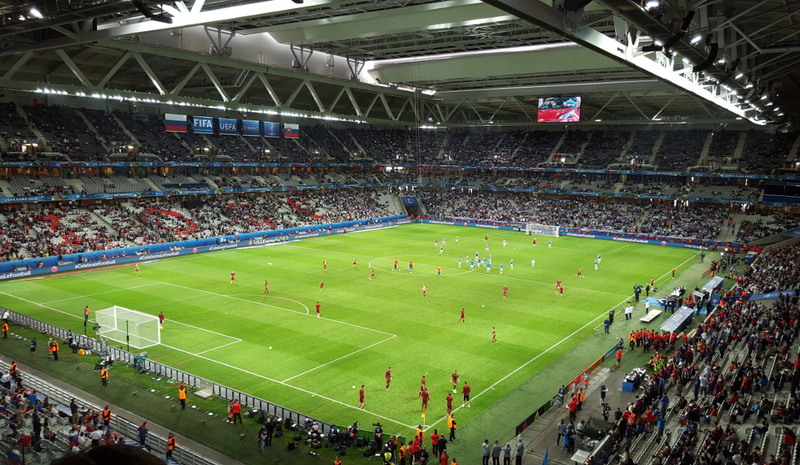 Stade Pierre Mauroy was one of the playing venues of the Euro 2016 Championships, hosting four group matches, a round of 16 match, and the quarter-final between Wales and Belgium (3-1). 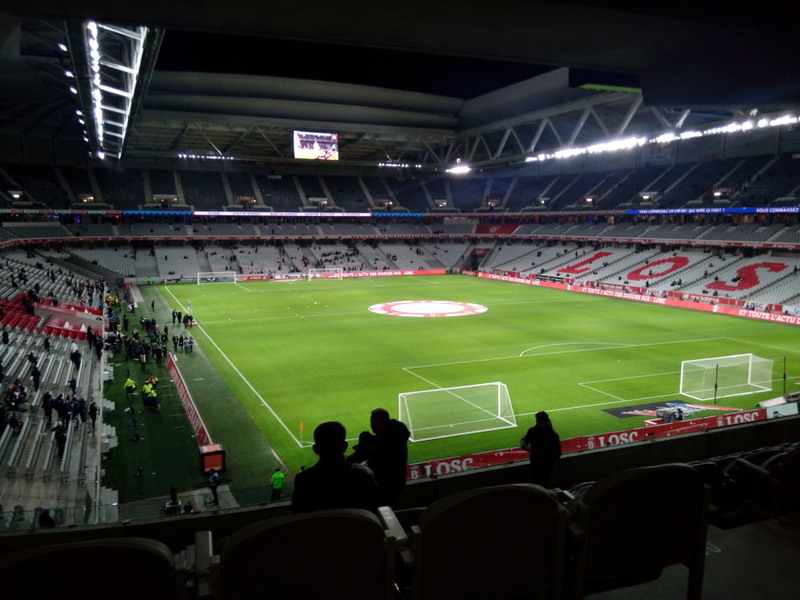 Stade Pierre Mauroy is a multifunctional arena that can be converted from a football stadium to a large concert venue or smaller indoors sports or concert arena. It is equipped with a retractable roof, which can be opened or closed in about 30 minutes. 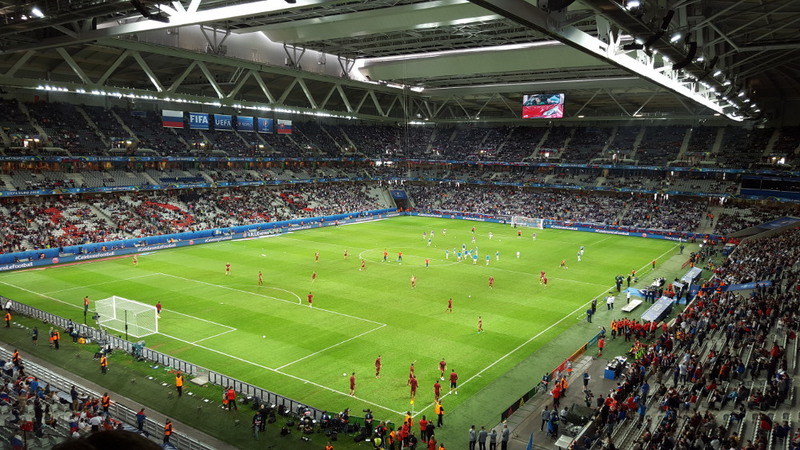 Stade Pierre Mauroy is located in the Lille suburb of Villeneuve d’Ascq about 6 kilometres south-east of Lille’s city centre and main railway station. The stadium lies adjacent to the N227 motorway, which connects with the A1 and A27 further south and with the A22 in the north. Take exit 3 Villeneuve d’Ascq from the N227. If using public transport, Stade Pierre Maroy is easy to reach by metro. Metro station Cité Scientifique and 4 Cantons Grand Stade both lie a short walk away from the stadium. Both are on metro line 1, which can be boarded in Lille’s city centre and at main railway station Gare Lille Flanders. Gare Lille Europe, where the Eurostar trains arrive, is a short walk away from Gare Lille Flanders. An alternative is bus 18, which can be taken from the southern parts of Lille’s centre, e.g. metro stops République Beaux-Arts or Porte de Valenciennes. Take the bus in the direction of Villeneuve d’Ascq. It will pass right by the stadium. Stade Pierre Mauroy lies squeezed in between a motorway, a golf course, and the Le Centre V2 shopping centre. There are a few food outlets in the shopping centre, but apart from that the area is rather quiet. There are various hotels located close to the Stade Pierre Mauroy. B&B Lille Grand Stade, the Tulip Inn Grand Stade, and the Park Inn Lille Grand Stade lie right next to the arena and get good reviews. The Inter Hotel Ascotel is another decent option only slightly further away. Finally, Stars Hotel Villeneuve d’Ascq and Premiere Class Lille Est are two cheaper budget options, but also get less favourable reviews. Click here for all hotels near Stade Pierre Mauroy, and here to explore the options in Lille’s city centre. Tickets for Lille games can be bought online, by phone +33 (0) 820 25 26 27, at the ticket office at the stadium (opened: 2pm – 7pm), or at any of the Francebillet and Ticketnet sales points. If tickets remain available, these can be bought at the ticket windows of Stade Pierre Mauroy on the day of the match. 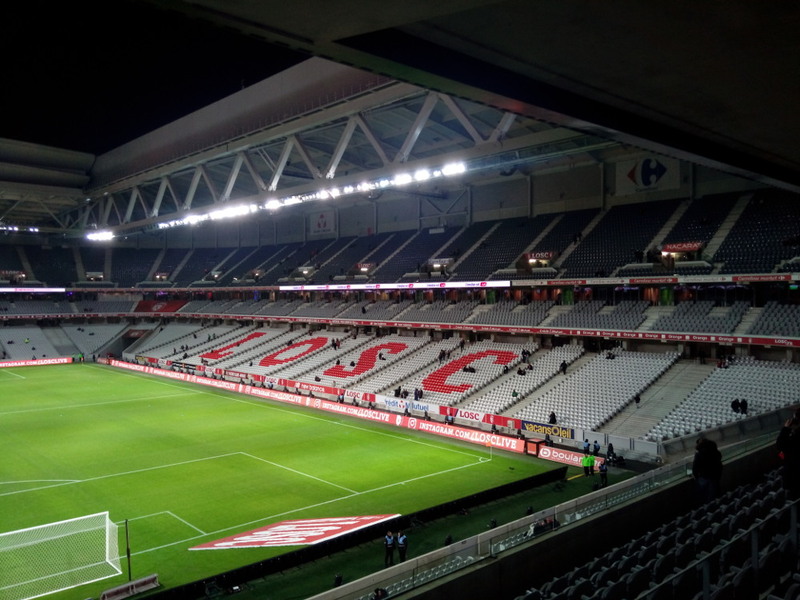 Lille attract decent attendances in their new home, typically around 30,000, but tickets should be easily available for most home games. Ticket prices for a regular match range from €13.50 for the upper and lower corner sections to €37.00 for an upper tier seat at the long side, but prices rise for a number of higher-profile matches. Tickets tend to be more expensive if bought on the day. The Villeneuve d’Asq tourist office organises guided stadium tours that last 60 minutes. Tours run a few times a week. Check the Villeneuve d’Asq tourism website for the latest schedule. The tour costs €12.00. Email ot@villeneuvedascq-tourisme.eu for bookings or more information. 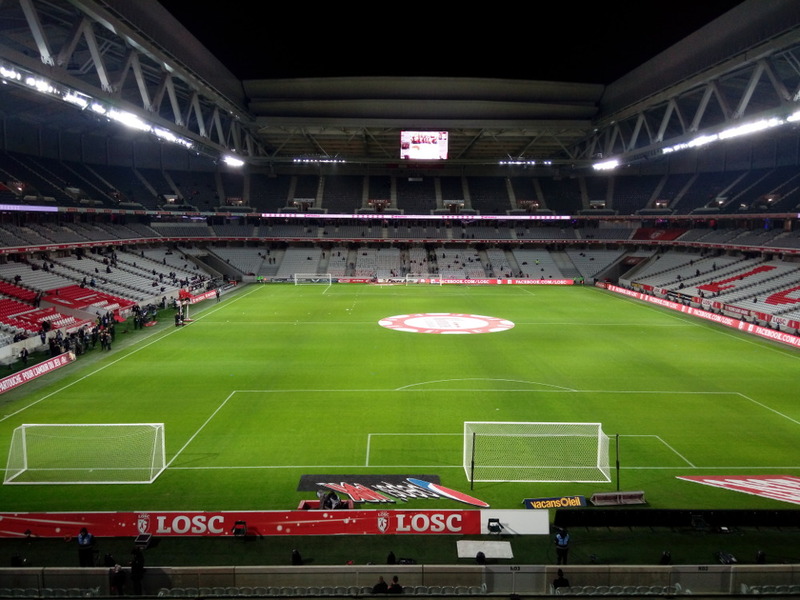 Losc.fr – Official website of Lille OSC. Grandstade-lillemetropole.com – Official website of Stade Pierre Mauroy. Lilletourism.com – Website of the Lille tourist office. Transpole.fr – Lille public transport information. Advice for first-timers: if you’re bringing your car, head for exit 9 on the E17 / A22 motorway (the one linking Paris and Ghent or Gand in French). Head for the larger of the two car parks next to the Les Prés metro station. Parking is free here and a fleet of shuttle buses are waiting next to the car park and the overhead metro line to whisk you to the stadium for free.